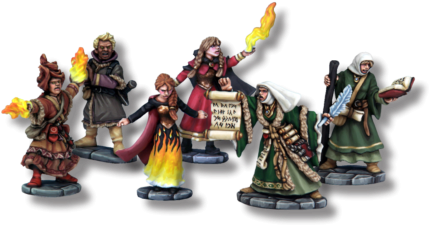 The Wizard’s Party, from FGV103 - Enchanter & Apprentice, FGV201 - Thief & Barbarian and FGVP01 - Frostgrave Soldiers. 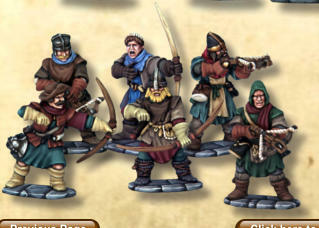 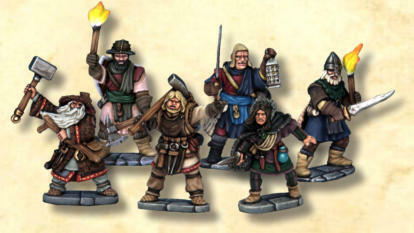 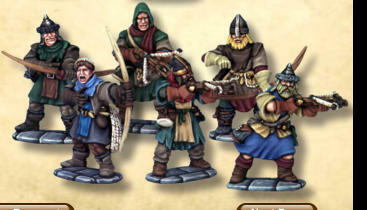 Soldiers, from FGV201 - Thief & Barbarian and FGVP01 - Frostgrave Soldiers. 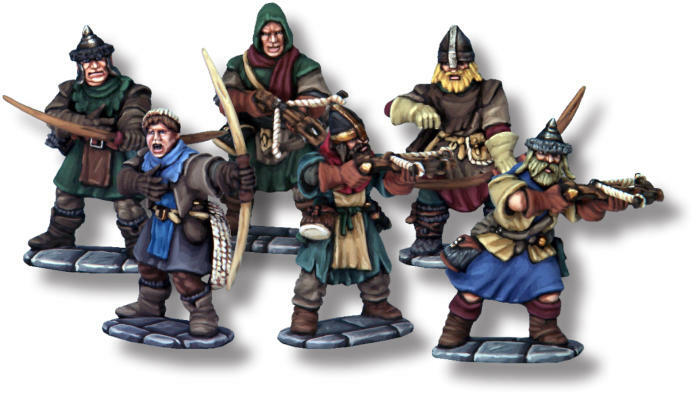 Two units of Scouts, from FGVP01 - Frostgrave Soldiers. 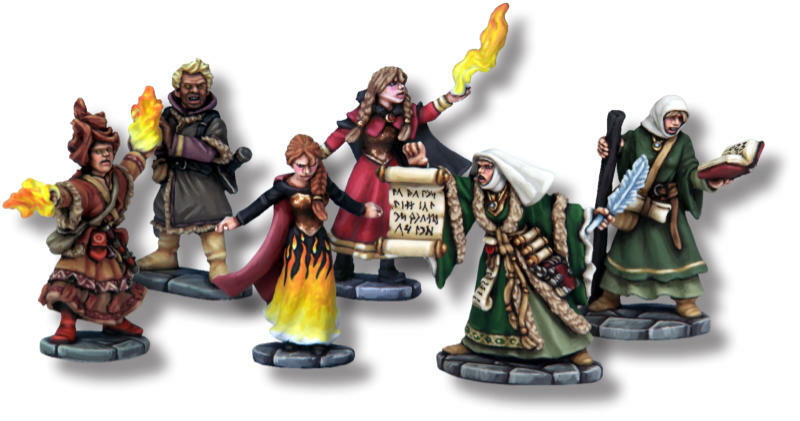 Lesser Magicians, from FGV102 - Elementalist & Apprentice, FW6001 - Young Fire Elementalists and FGV106 - Sigilist & Apprentice. 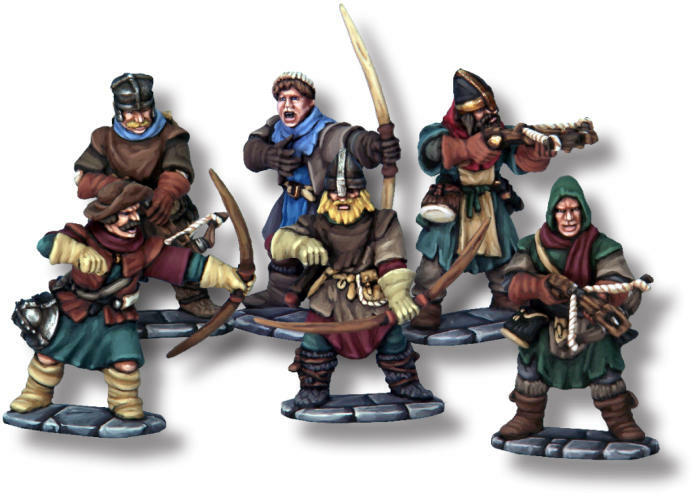 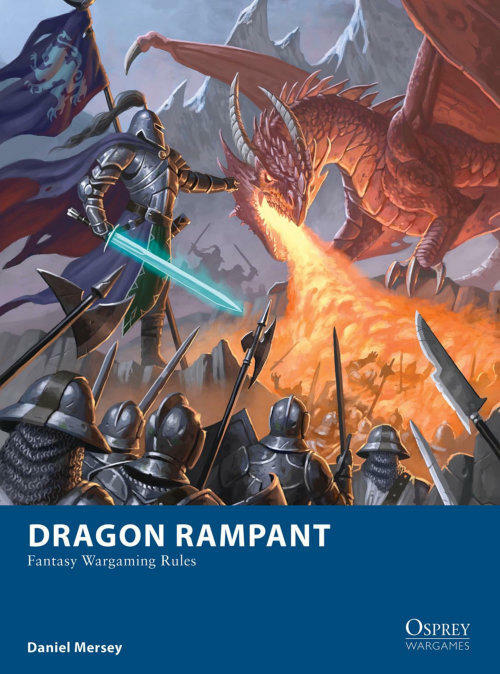 Designed by Dragon Rampant author Daniel Mersey using North Star’s Frostgrave range.